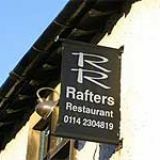 Rafters Restaurant offers some of the finest cuisine in Sheffield. 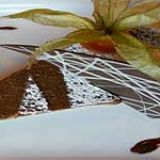 Their menu changes regularly and uses top quality local and seasonal produce. The dining area has a stylish and welcoming vibe which helps set the mood for an exquisite meal. Do you work at Rafters Restaurant? What did you think of Rafters Restaurant? 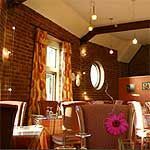 Hada lovely meal here recently, our food was amazing & the staff were really nice. Rafter’s is well known in Sheffield as the home of fine dining in a city not overly spoilt for choice at the higher end of the market. Established by the renowned Boswell brothers 14 years ago, it’s now owned by head chef Marcus Lane. A recent addition is Gareth Ducker, a bright young chef who, like Marcus and the Bozwell brothers, trained at the local Castle College. The restaurant is situated in Hangingwater, a small and leafy area in the southwest of the city. The perfect approach is to pick a nice summer evening, stroll all the way through Endcliffe park and step into the restaurant by coming out onto Rustlings Road and going up the (short) hill to Oakbrook Road. The atmosphere, an area which fails so many of the potentially good eating spots in Sheffield, is absolutely perfect. The name Rafters is derived from the exposed beams still on view in the converted attic. Once the stairs are ascended, the true beauty and elegance of the place is immediate. The restaurant is perfectly lit so that the fantastic waiting staff seem to fade in and out of the shadows rather than imposing on your meal. The intimacy evokes the feel of a secret bourgeois hang-out in post-revolutionary Russia. Exposed brick walls add to the rustic feel. It achieves the impossible of incredible design while still allowing the diner to relax fully and enjoy the fantastic food. From the moment the bread basket full of warm and freshly baked rolls arrives you know this is a quality food experience. The three course menu comes with a set price (£36, so it's not cheap) and currently includes such delights as an incredible pressed salmon with baby leek terrine accompanied by beetroot and horseradish emulsion. 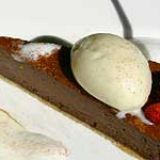 Also one not to be missed is the Gressingham duck main and roast pineapple tart with coconut and black pepper ice cream. This is serious food made by people who understand how to present fine dining to a sometimes unreceptive Sheffield audience. The bar is very well stocked. All manner of fine brandies and liqueurs lay discreetly out of sight, ready to be served by the resident drinks' experts on your command. If you can’t stop thinking of your wallet then this restaurant isn’t for you. Rafters is a place for special occasions so crack open the bubbly and hope someone else is paying. 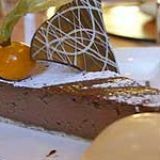 Undoubtedly one of a handful of restaurants in the whole of South Yorkshire that consistently ticks all the boxes, Rafters disproves the myth that Sheffield is devoid of fine dining and is well worth five stars.